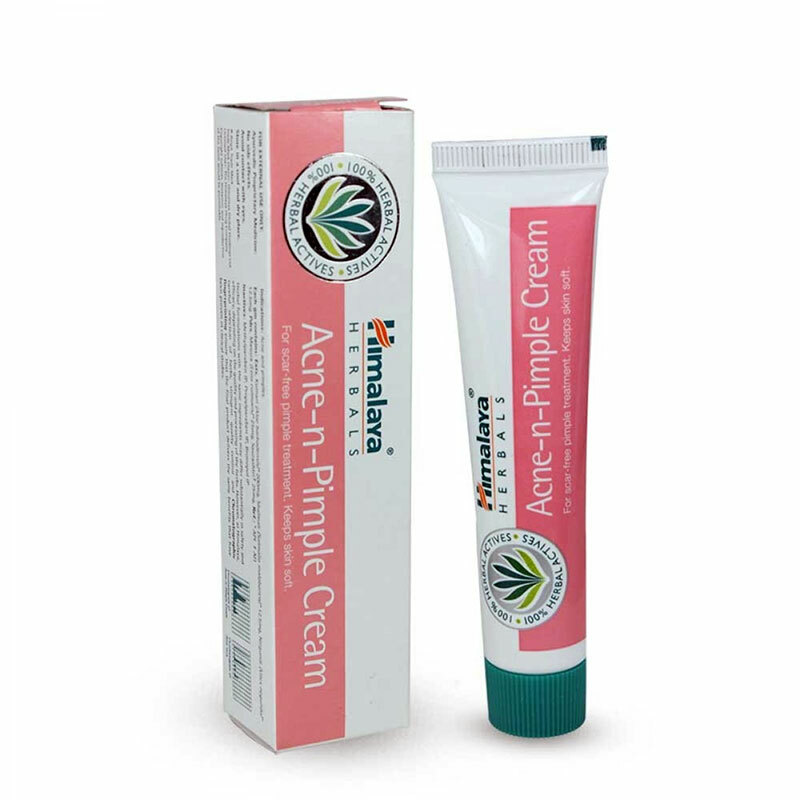 Himalaya's Acne-n-Pimple Cream treats pimples and skin eruptions, healing infection while keeping the skin soft and smooth. It has excellent astringent, styptic and cooling properties derived from the goodness of Lentil, Silk Cotton Tree, Five-leaved Chaste Tree extracts, Barbados Aloe and Alum. Lentil's astringent and anti-inflammatory properties help in reducing inflammation associated with acne. Silk Cotton Tree extracts have astringent properties, which are beneficial in treating acne and skin eruptions. Alum is an effective astringent, styptic and antiseptic. It is beneficial in superficial infections, acne and ulcers. Barbados Aloe possesses moisturizing and healing properties and is widely used in creams, lotions and shampoos. It is effective in treating skin disorders such as acne, sunburns, bruises and dermatitis. Five-Leaved Chaste Tree has anti-inflammatory, antibacterial and antifungal properties which are useful in treating sores and skin infections. Wash or cleanse face, and apply a small quantity of Acne-n-Pimple Cream over the affected areas twice daily. An open clinical study was carried out in Apollo Hospitals, Chennai, India, to evaluate the efficacy and safety of Acne-n-Pimple Cream in the management of acne. This study observed a significant reduction in the number of blackheads, whiteheads, inflamed pustules and overall inflammation. Similarly, there was enhanced exfoliation, moisturizing and a soothing effect along with significant improvement in healing without scar formation.